JVonD hangs out with Adam Pause in Gilpin County. 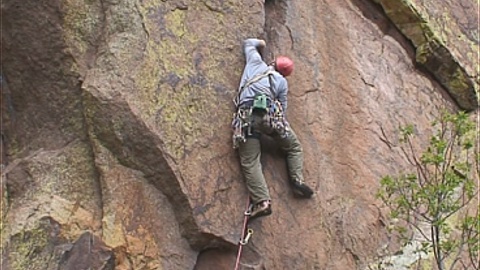 Watch as they chill out and introduce archives from the Russell Gulch Country Club and Disc Golf Sanctuary, Eldorado Canyon climbing, and the ACE climbing competition at The Spot Gym. This entry was posted by JVonD on April 20, 2007 at 4:20 pm, and is filed under Bouldering, Business, Climbing, Eldorado Canyon, Interview, Live Music. Follow any responses to this post through RSS 2.0. Both comments and pings are currently closed.